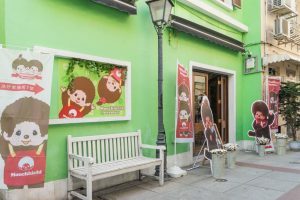 Asia’s first Monchhichi-themed Serradura Café officially opens in Taipa Village Macau. This four-month pop-up café offers signature Portuguese dessert serradura in a Monchhichi-themed setting, and a selection of special drinks and coffee, in an opening that demonstrates Taipa Village Destination Limited’s dedication to promoting innovative dining and retail experiences in this heritage-rich district. The Monchhichi Serradura Café adds fresh appeal to the visitor experience as a fun-filled attraction in a landmark destination during the festive season. Since it was created in Japan more than 40 years ago, Monchhichi has attracted numerous fans around the world thanks to its cute design and unmistakable character. Monchhichi-themed cafés and restaurants are common in Japan, offering a variety of desserts and drinks. This newest Monchhichi café, in Taipa Village, is a pioneer among them, the first in Asia to present serradura as its key offering. Originating from Portugal, serradura is a sweet dessert made from cream and biscuits that has become Macau’s signature Portuguese dessert for locals and tourists. The pop-up café combines perfectly its serradura offering with the Monchhichi theme, bringing Monchhichi fans a truly special visual and culinary experience. 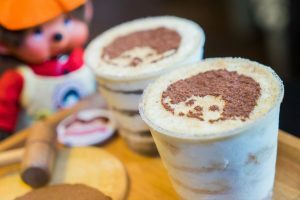 The Monchhichi Serradura Café’s menu boasts a wide range of desserts, coffees and signature drinks featuring Monchhichi images and iconography. Each order of serradura is paired with a Marie biscuit and a small wooden hammer, allowing customers to pound the biscuit into crumbs and sprinkle on top of the pudding and experience the final touch of the process of making serradura. 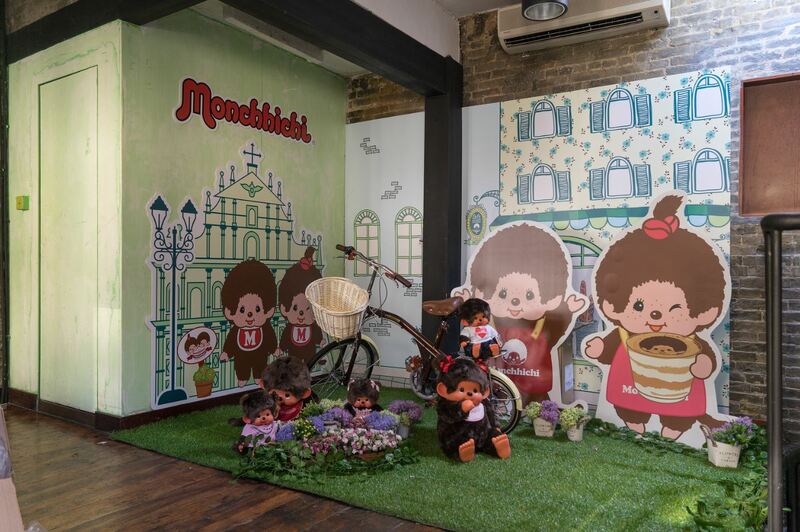 Guests can also purchase a wide range of Monchhichi dolls in various outfits as gifts or souvenirs for friends and family, and the upper floor of the café features a spacious photo zone for fans to take pictures with Monchhichi.